I follow a lot of beauty bloggers and vloggers. I mean, a lot. Name one, and I probably follow them. 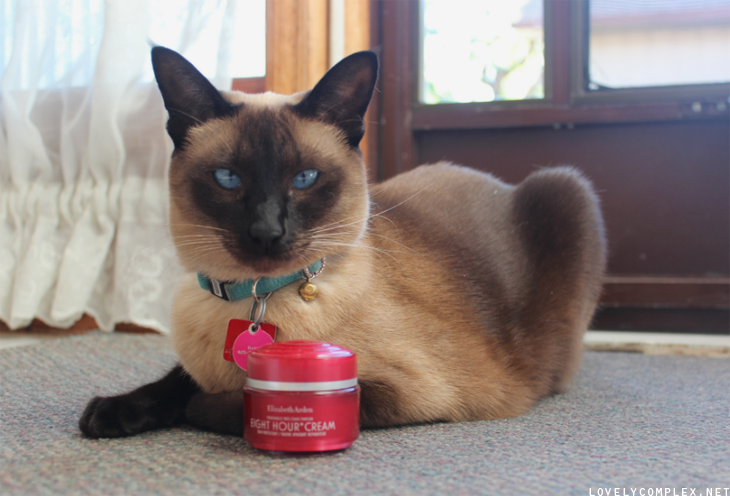 I like watching reviews and makeup tutorials and reading blog posts with lots of photographs! 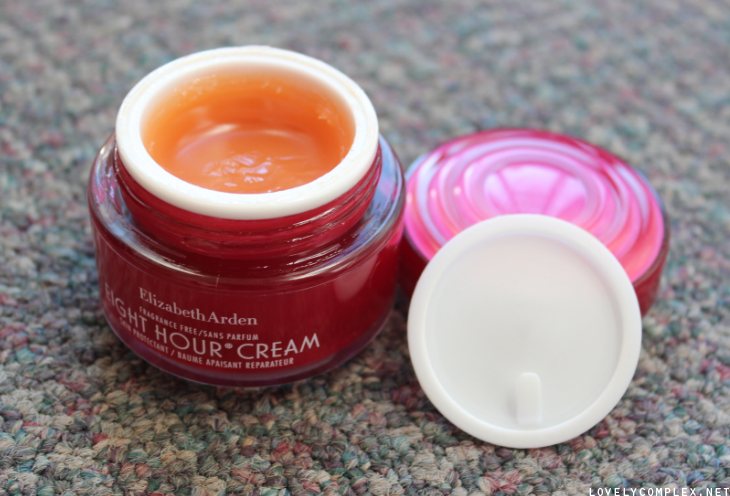 I’ve seen many of them raving about Elizabeth Arden 8 hour cream as a sort of “holy grail” item. I was in Winners one day and saw they had a brand new box of it it on sale for $10! I decided to try it out. I hadn’t read any reviews or seen and videos about this item – just heard that it was a fantastic product. I didn’t really have any idea about what the texture was going to be like – just thought that it was going to be another white potted cream. 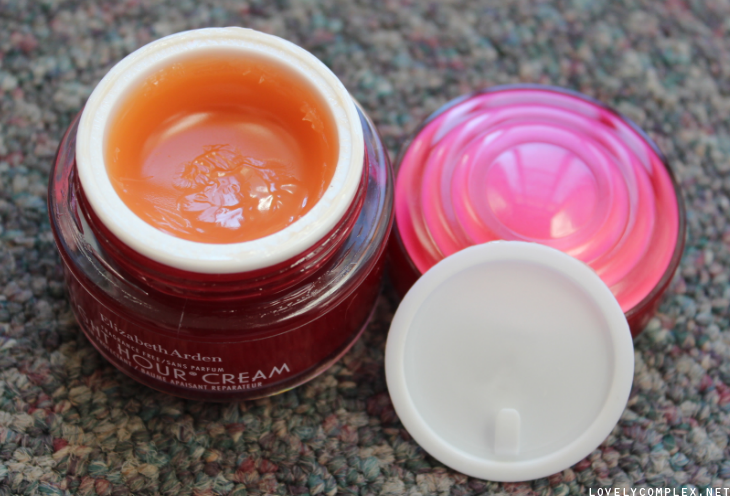 I was quite surprised to find that the cream is more like an orange gel. It applies quite thickly, and it is quite sticky. I’ve been using it for a week now and I’ve definitely seen results! I’ve been experiencing a stupid heat rash on the inside of the elbow, with a big patch of dry skin. ;_; Within 2 applications (before bed), it was greatly reduced! Very moisturising! There are lots of different uses. -Rubbing into cuticles;-Use as a face mask in the evening;– Remove tough makeup, like waterproof mascara;– On feet (such as hard or cracked heels);– Protects skin from drying, sun, wind, central heating and air-conditioning;– Apply around the nose if you have a cold;– Use as a highlight over makeup. On the lids, cheekbones and lips;– Use a tiny amount to tame frizzy hair;– As a lip balm for chapped lips;– Apply to very dry or chapped skin. Like the hands, elbows and knees;– Can be used on eyebrows to hold them in place;– May be used on abrasions, irritations, scrapes,burns and insect bites;– Can be used to banish blemishes;– Use to add a sheen to the legs. I can see what all the hype is about. If you’re looking for a product that does all of the above, look no further! Thanks for reading, see you guys soon!